There’s a new way to use crayons for art, and it isn’t for drawing. 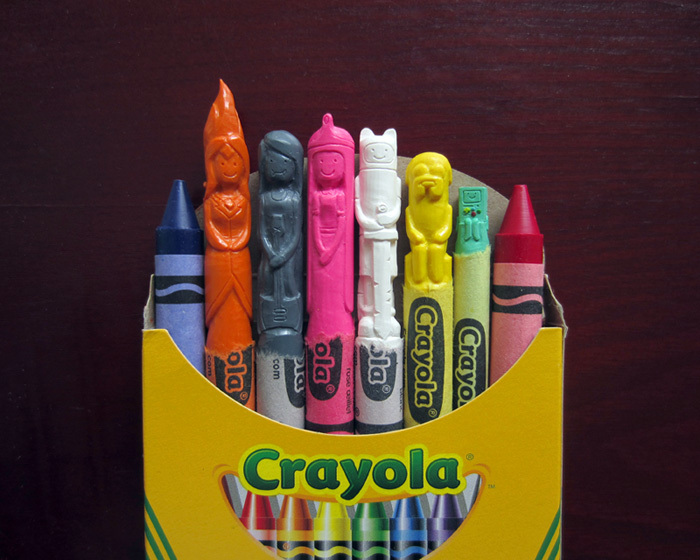 Hoang Tran carves tiny wax figurines into the heads crayons. The sculptures often depict famous fictional characters from movies, TV shows and other pop culture artifacts such as Star Wars and South Park. Sometimes Tran adds color to his creations by melting wax from other crayons onto the original wax figures, and he also carves customized pet crayon sculptures for people purchasing his art on Etsy.